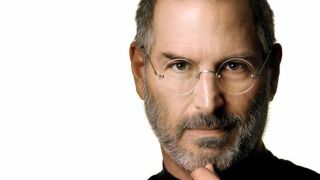 With Apple marking the anniversary of Steve Jobs' death, a new book has offered an insight into life at Cupertino in the lead up to the launch of perhaps the tech visionary's finest achievement - the iPhone. Journalist Fred Vogelstein interviewed several of the key players involved in the device, which changed the way we think about mobile technology. Andy Grignon, a senior engineer who built the iPhone's radios gained 50lbs during the development process and suffered from exhaustion as a result of his work on the device. He said: "It was very dramatic. It had been drilled into everyone's head that this was the next big thing to come out of Apple. So you put all these supersmart people with huge egos into very tight, confined quarters, with that kind of pressure, and crazy stuff starts to happen." Grignon also revealed the terrifying build up to the launch event itself, as Apple was forced to trust its still-buggy hardware and software to behave itself on the biggest stage, when it had done anything but during rehearsals. "He was just very intense. And you would always feel an inch tall It felt like we'd gone through the demo a hundred times, and each time something went wrong. "It wasn't a good feeling." Of course the event, which Grignon and colleagues spend "draining" a whiskey flask, went off without a hitch and the tech world was changed forever. While the book marks some of the pronounced darker sides of Jobs' driven personality, Apple CEO Tim Cook marked the anniversary with a short email to employees stressing that the company's founder would be 'proud' of them. Tomorrow marks the second anniversary of Steve's death. I hope everyone will reflect on what he meant to all of us and to the world. Steve was an amazing human being and left the world a better place. What are some of your favourite Steve memories? Let us know your thoughts in the comments section below.